LG has today officially unveiled the Q7 smartphone which brings a number of flagship features to the midrange segment. In addition to portrait mode and QLens, the LG Q7 boasts Hi-Fi Quad DAC for superior audio playback, DTS:X 3D Surround Sound as well as IP68 certification for dust and water resistance, which have so far been restricted to the G-series flagships. 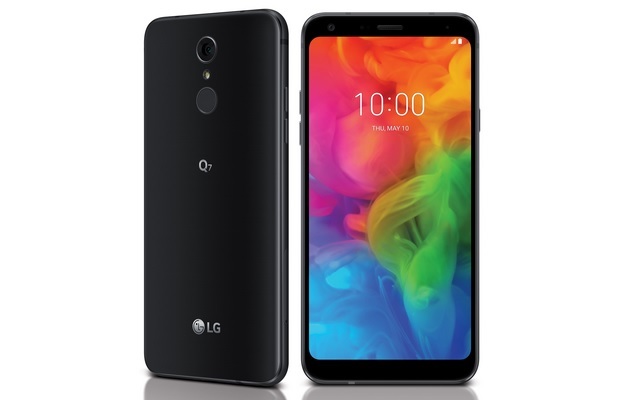 The LG Q7 comes equipped with a 5.5-inch FHD+ (2160 x 1080) FullVision display with an 18:9 aspect ratio, fitted inside an IP68-rated metallic body which has also passed 14 of the MIL-STD 810G tests designed to test a device’s durability in harsh environments. The LG Q7 is powered by a 1.5 GHz octa-core or a 1.8GHz octa-core processor depending on the region it is released in. The device boots Android 8.0 Oreo and features a 3,000mAh battery that also supports Qualcomm’s Fast Charge technology, which can juice up the battery up to 50 percent in just around 30 minutes. The LG Q7 will be launched in three different versions- the regular Q7, Q7+, and the Q7α, all of which feature the same design and build, except for a slightly different storage and camera setup. The device is capable of providing DTS:X virtual 3D surround sound, up to 7.1 channel audio and also boasts of a Hi-Fi Quad DAC to deliver crystal clear audio for an unparalleled music listening experience. It will be available in three color options that are Aurora Black, Moroccan Blue and Lavender Violet (the Q7α will only be available in Moroccan Blue version). Pricing of the Q7 will be announced when the device hits the European market early next month, followed by other markets including Asian countries.